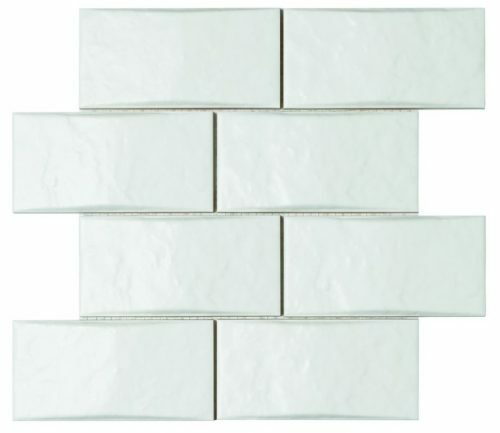 Ceramic mosaic composed of 8 rectangular pieces with convex relief and textured surface in white satin. Give your kitchen or bathroom a fresh new look with the elegant Aspen mosaic tile. This stunning ceramic mosaic exhibits refined luxury with a textured white satin finish. It is suitable for use in kitchen splashbacks and bathroom walls. 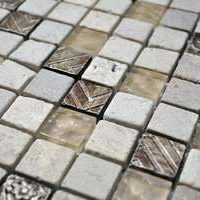 The Aspen mosaic tile is available in a standard size of 30.6×30.3cm and is sold per piece. 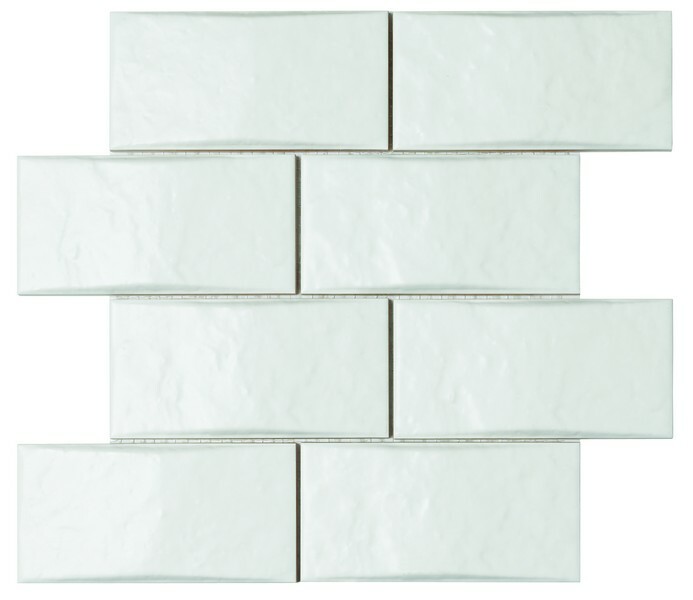 Each tile consists of 8 rectangular pieces and the tile is designed with a convex relief. This ceramic mosaic is as functional as it is good looking. It emulates the look of snow covered imagery and makes any space appear cooler. The textured finish offers a slightly informal look, which is uber- modern. Also, the satin white finish does very well to complement a whole range of other splashes of colours. Thanks to special manufacturing, the Aspen mosaic requires little to no maintenance. The surface is easy to clean and will look good as new even after years of usage. 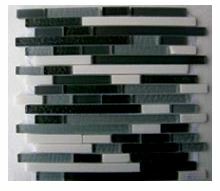 For a sophisticated ceramic mosaic tile in Perth, you’ll find nothing better than the Aspen mosaic tile. 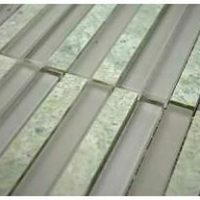 Buy this elegant tile at an unmatched bargain from our online store today!